Local companies can find out more about supply chain opportunities for the world's biggest offshore wind farms at an event in Rotherham this week. The biggest offshore wind farms in the world are being built off the Yorkshire Coast; Hornsea Projects One and Two's 339 turbines will be able to provide enough electricity for well over 2.3 million homes, when the wind farms become operational in 2020, and 2022 respectively. After receiving planning consent in August 2016 for Hornsea Project Two, Ørsted (formerly DONG Energy), Denmark's largest energy company, is set to deliver the most affordable electricity from offshore wind yet. Membership network, NOF Energy, is hosting a free event in Rotherham on Wednesday November 14. Taking place at Magna Science Adventure Centre, the aim is to bring potential suppliers together from across the UK to meet the Ørsted team and Ørsted Tier 1 suppliers to understand Hornsea Project Two and the opportunities it offers. Project Two will be located in an area of 462 sq km in the North Sea, approximately 89 km from the coast of the East Riding of Yorkshire, adjacent to Project One which is currently under construction. The project was awarded a Contract For Difference by the Government in September 2017. Ørsted are now preparing to construct the project, with onshore construction due to commence in Q3 2018. Tier 1 contractors include Balfour Beatty, Siemens Gamesa Renewable Energy and VolkerInfra with more to be announced soon, who will be presenting at this event to provide information on Hornsea Project Two and the potential opportunities it offers. 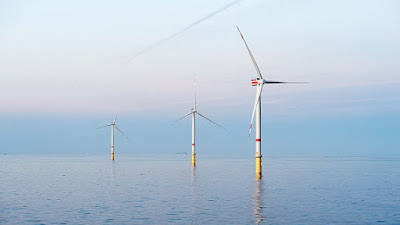 Natasha Nanuck, senior stakeholder advisor at Ørsted, said: "These projects are phenomenal, they are the biggest offshore wind farms ever to be constructed and they are happening right here in the UK, which leads the world in offshore wind energy." Ørsted has already invested £8 billion in the UK and is set to invest a further £4bn by 2020. Ørsted has secured a proposed disposal of a 50% interest in the Hornsea 1 offshore wind farm to Global Infrastructure Partners (GIP) in a deal worth 4.46bn.